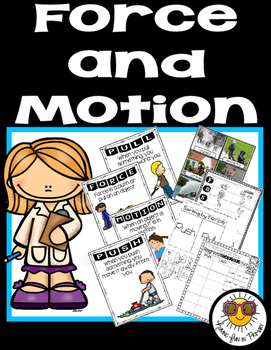 Force and Motion:Push and Pull – Hi teachers! 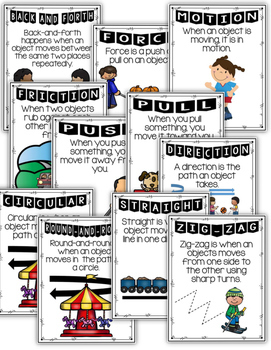 Will you be teaching your students about force and motion – push, pull, straight, zig-zag, round-and-round, back-and-forth, fast, slow, etc.? Then this supplemental unit might be just what you need to help your students fully understand the concepts. 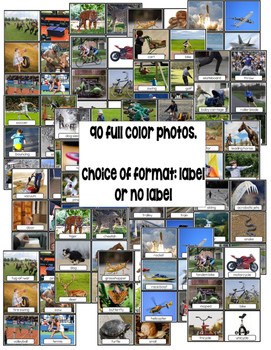 Included are 90 real life full color pictures of objects to demonstrate each force and motion. 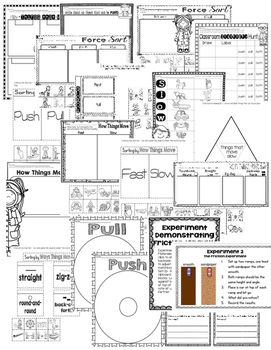 Also included are posters, printables, interactive notebook pages, and 11 experiments to reinforce what they are learning.